On May 23, 2018, U.S. Immigration and Customs Enforcement (ICE) arrested 39-year-old Xiu Qing You, during his interview for a green card. Mr. You has since been held in detention in New Jersey and is currently under threat of deportation despite having filed a successful asylum claim in in January 2015 and a nearly 20-year residency in the United States. Mr. You is the husband of Yu Mei Chen, a U.S. Citizen, and the father of two young children born in the U.S., ages four and six. On the morning of June 18, 2018, CPC joined the Asian American Federation, The New York Immigration Coalition, and other community leaders for an emergency rally to demand the release of Mr. You from detention and to end family separation. Multiple speakers addressed the need to end inhumane family separation and deportation including District 1 Council Member, Margaret Chin and political activist, Linda Sarsour from the Arab American Association of New York. Mr. You’s case is not an isolated incident. Earlier this month, an Ecuadorian pizza delivery person, Pablo Villavicencio-Calderon, was asked to show ID while delivering an order. Upon showing NYC’s municipal ID to enter the delivery site, ICE agents were called to investigate and arrest him. Like Mr. You, Mr. Villavicencio-Calderon had also recently applied for a green card, has an American spouse, and two American-born children. More than 8 million U.S citizens, of which 1.2 million are naturalized citizens, have at least one undocumented family member living in their household. More than 5.9 million citizen children, U.S. born and naturalized, live with at least one undocumented family member. Nationally, the backlog of immigration cases nears 700,000, with more than 90,000 cases in NYC alone. In pending immigration cases, risk of deportation can happen at any time, until a judge makes a decision. Across New York City, non-criminal ICE arrests are up by 200% since January 2017, jeopardizing individuals who may not otherwise interact with local law enforcement. Enforcement has increased at a time when fewer options remain for immigrant families, while sanctuary city status, like the one in New York City, also fails to be recognized. Outside of NYC, 2,000 children have been separated from their families at the Texas-Mexico border in under two weeks and. The violent tactics of separation, imprisonment, deportation, and intimidation are deliberate strategies to divide and distract immigrant communities. The government is effectively using immigrant communities as bargaining chips for smaller programs that do not grant pathways toward citizenship or permanent residency, distracting groups from attempts to further establish comprehensive immigration reform. CPC stands against the Federal Administration and Congress' refusal to enact clean, comprehensive immigration reform while simultaneously eliminating or threatening important programs such as DACA, TPS, asylum, diversity visas, and family reunification. CPC stands against the Federal Administration granting ICE jurisdiction to intimidate and arrest immigrant communities, despite New York City’s sanctuary city status. We remain committed to promoting the social empowerment of Chinese American, low-income and immigrant communities. We call on all communities to stand together united against these policies that continue to enforce discrimination, injustice, and xenophobia. During the week of June 18, 2018, the House of Representatives will be in talks to compromise on one of four immigration reform options. There are three existing House immigration bills, two of which offer concessions like no citizenship, no family-based sponsorship, or additional border funding. A fourth option, could pick and consolidate parts of each existing bill into a new one, to be decided by Speaker Paul Ryan. Of the four options, only the DREAM Act offers a clear path to citizenship without jeopardizing immigration pathways for others..
Hello! My name is [name] and I’m calling from [City]. I’m calling today to tell [Representative] to pass clean immigration reform through the DREAM Act without compromising on important pathways like DACA, TPS, asylum, diversity visas, and family reunification. I ask that [Representative] vote to permanently protect immigrants from deportation and oppose compromises like the family ban, more ICE agents, and the border wall. Last week, CPC released a statement standing firmly against the Federal Government’s policies of separating immigrant families, both at the U.S. border and through Immigrations and Customs Enforcement (ICE) detention of family members. Staff from multiple CPC divisions turned out to a rapid response rally to call for the release of Mr. Xiu Qing You of Flushing, Queens, who was detained by ICE during a green card interview. The demand for Mr. You’s release from detention was a rallying cry for organizers of the Asian American community and affiliated groups, including CPC, the Asian American Federation, The New York Immigration Coalition, The Legal Aid Society, and more. 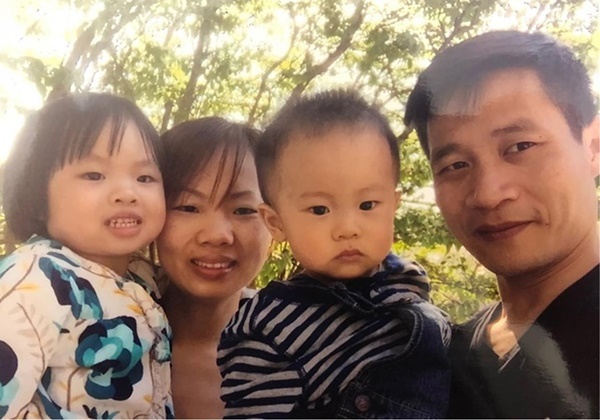 As a result of our community’s rapid mobilization, Mr. You was granted an emergency stay of deportation last week and was ordered for immediate release from ICE detention. Despite this victory, we must acknowledge as a community that the success of Mr. You’s release is only a small gain in the broad scope of advocacy work that should not distract us from our overall goals of ending the inhumane treatment and incarceration of immigrants and refugees, and providing services to immigrant communities throughout the nation. Similarly, an Executive Order released at the end of last week ends the policy of separation of families and children at the border by U.S. Immigration and Customs Enforcement (ICE) but includes no plan to reunite the 2,000 plus children separated from their families, and does not lead to true immigration reform. Between May 5 and June 9, more than 2,342 children and 2,206 parents have been separated at the US-Mexico border as part of Trump’s “zero tolerance” policy, with an average of 60 children being separated from parents each day. The Executive Order fails to halt the “zero-tolerance” policy, and instead, expands enforcement to encompass family detention for indefinite periods of time. Imprisoning families together is not an alternative solution to the separation of families. CPC stands against the use of excessive physical and psychological force that ICE and other federal agencies uses to perpetuate for the intimidation of children, immigrants, and asylum seekers to the United States. In CPC’s statement last week, we encouraged calling the House of Representatives to demand clean and comprehensive immigration reform that would not sacrifice or bargain some immigration pathways over others. Thanks to pressure from across the nation, the vote was yet again delayed. Family-based sponsorship, diversity visas, asylum, DACA, and TPS are all part of a larger vision for immigration reform. Like Mr. You’s case, no single immigration pathway should be prioritized or preserved as a victory. CPC calls for comprehensive reform that empowers and preserves all immigrant communities. What can you do to continue to raise your voice and the voices of your fellow community members against the injustice perpetuated by this Administration against immigrants and refugees? Remember to vote in the primary elections on June 26, 2018. Primary elections in a state like New York are often considered the “real” election because of skewed party registration numbers. On a national level, candidates who win in local primary elections set the tone for the types of policy the national parties will then prioritize in upcoming election cycles. It’s important to make your voice heard. CPC launched candidate surveys for three congressional districts with the highest Asian Pacific American electorate. Attend the End Family Separation NYC Rally and March on the National Day of Action to Fight for Families hosted by the International Refugee Assistance Project (IRAP) and The New York Immigrant Coalition (NYIC) on Saturday, June 30 in Foley Square. Click here for more information about the rally and march. Consider witnessing immigration court hearings or accompanying someone headed to court. Volunteering to accompany an individual headed to immigration court provides much-needed peace of mind and moral support. Witnessing immigration hearings also holds judges and court system accountable to due process. Judges are more likely to act fairly when they know members of the public are watching. Click here for more information from the New Sanctuary Coalition. Tweet to @realDonaldTrump and @SecNielsen to stop incarcerating families and pressure for concrete steps towards family reunification. Click here for sample tweets written by NYIC.